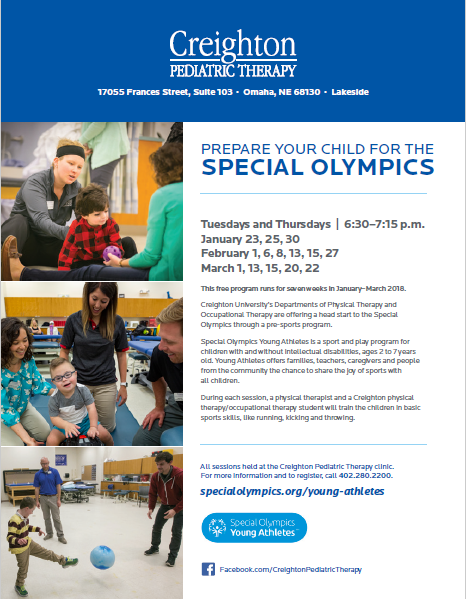 Description: Creighton University’s Departments of Physical Therapy and Occupational Therapy are offering a Special Olympics Young Athletes Program! This is a sport and play program for children with and without intellectual disabilities ages 2 to 7 years old. Young Athletes introduces basic sport skills, like running, kicking and throwing, and supports the growth of important motor, social and learning skills.